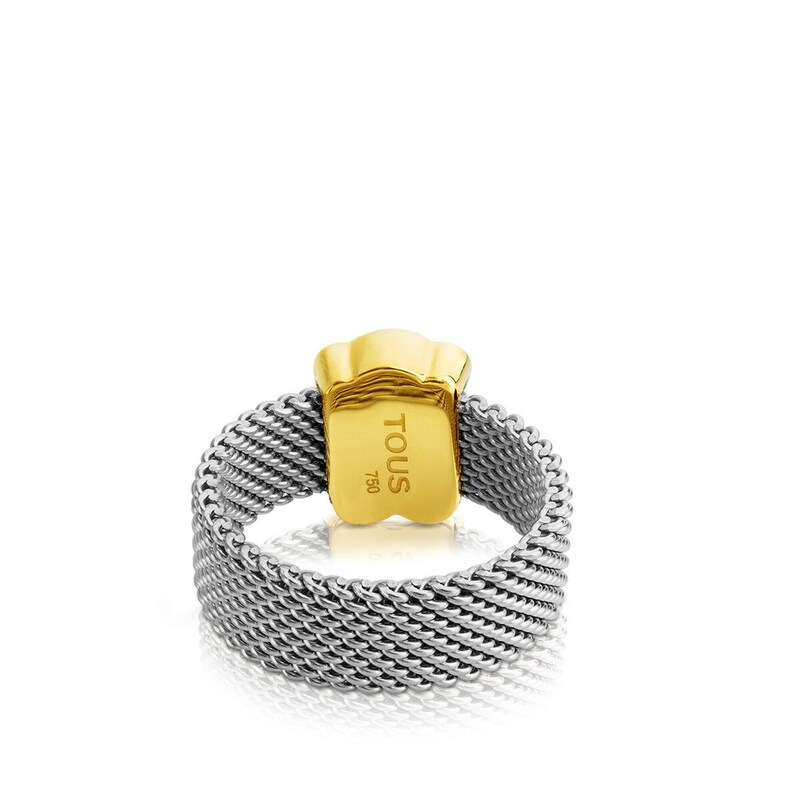 TOUS Mesh ring in stainless steel with bear in 18kt yellow gold. Size: 7mm. Bear: 1cm.